Swami Vivekananda said “If the poor cannot come to School, let education go to their doorsteps”. Our School admits underprivileged students and after school hours identifies the areas in which the students feel difficult and gives them special tuition which they cannot otherwise afford, in the difficult areas of study. 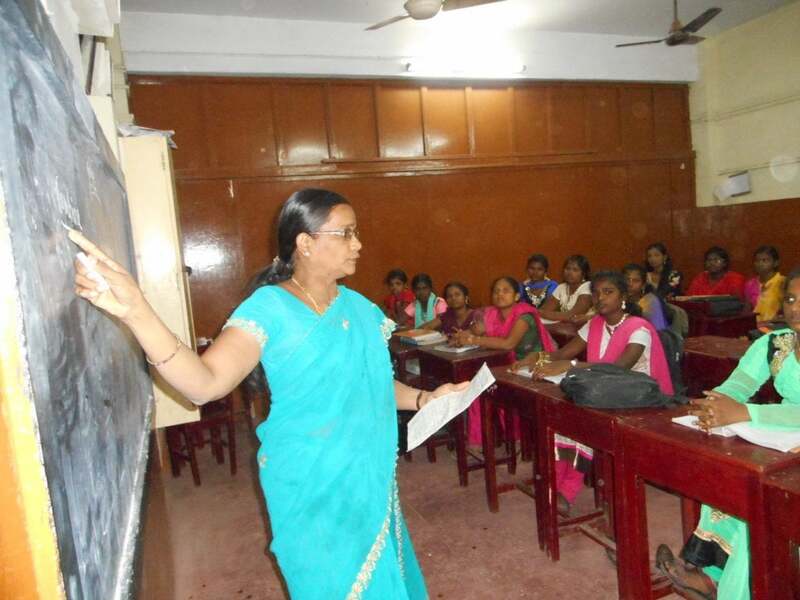 The Management has also arranged for Free Tuition Classes for the students appearing for Tamil Nadu Govt. Public Exams from 10th and 12th Std. Around 420 students from both the Classes are given this facility to compete with students of other schools. Classes are held between 4 PM and 5.30 PM after regular class time is over. The students are served with snacks worth Rs. 15/- each before the Classes so that they should not feel tired. Expenditure incurred comes to ₹13 lakhs per annum. Recent survey reveals that the students attending the Free Tuition Classes feel greatly benefited. They feel that their understanding capacity is increasing since they can interact with the teachers on specific difficult areas of study further. The extra snacks give them incentive to continue their study after school.